The diplomatic row between the UK and Russia continues as the poisoned former double-agent Sergei Skripal and his daughter, Yulia, remain in a critical condition in hospital. 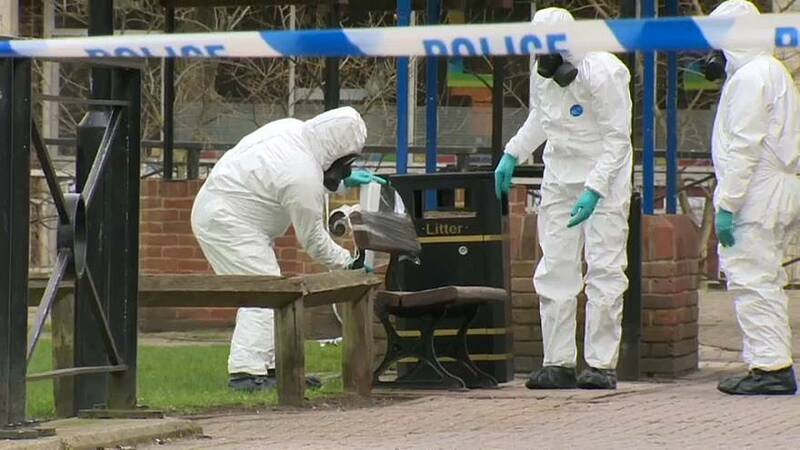 Forensic experts are still trying to gather as much evidence as possible and have now removed the bench where the pair were found unconscious on 4 March. A number of EU countries say they could take action against Russia which may involve expelling diplomats, as the UK has already done. Meanwhile, Russia has rejected claims that the poisoned former double agent Sergei Skripal asked President Putin if he could be pardoned. A friend of the former Russian intelligence officer is reported as saying Skripal regretted being involved in a spy-swap in 2010 and wanted to return to see his family. Russia denies any involvement in the poisoning of Sergei and Yulia Skripal and is continuing to suggest that “military grade poisons” were being developed at the British defence laboratory at Porton Down. The lab, is less than 15 kilometres from Salisbury and is where tests were carried out to identify the substance believed to be the deadly nerve agent Novichok.